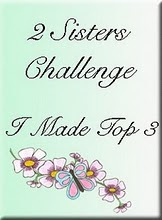 There is a new challenge up at One Stop Crafts Challenge and it's a fab one! 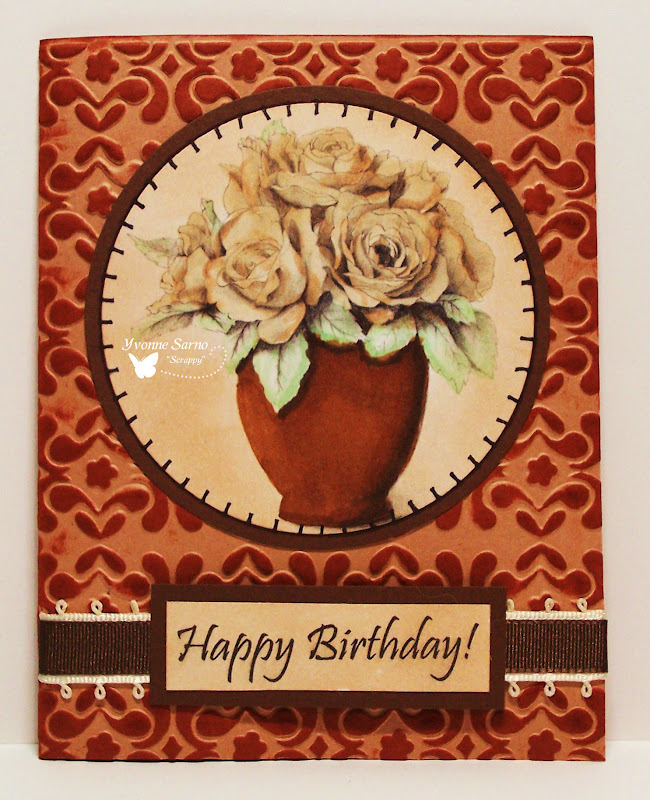 This week we are asking you to create a card with Coffee and Cream colors! 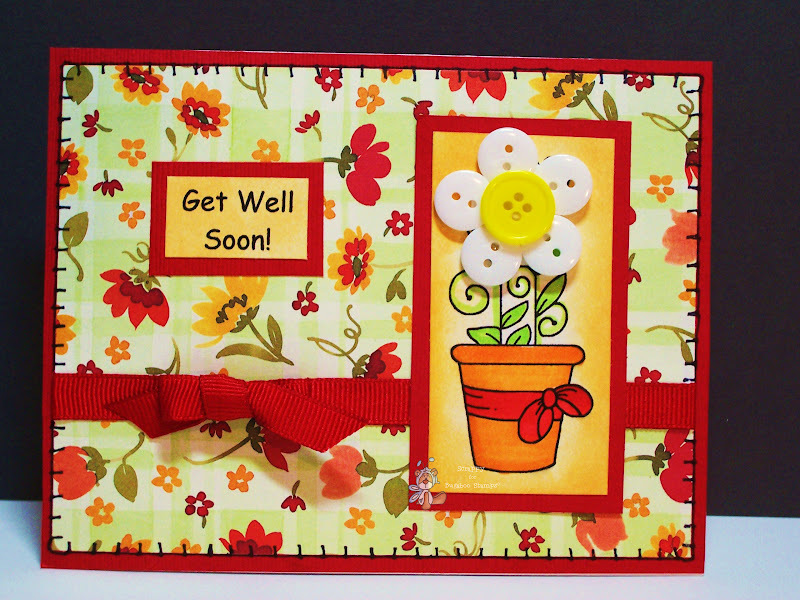 Head over to the OSC Blog to link up your fantastic cards! This weeks featured digi is an awesome stamp called Sewing Mice. I think the whole set is a *MUST HAVE*! 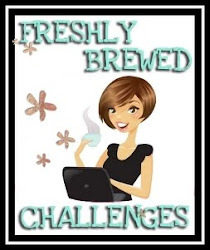 For those of you whom know me - I have a SERIOUS love for coffee! In fact, I'm reasonably sure they will have to pry my Starbucks mug from my hand when I die! 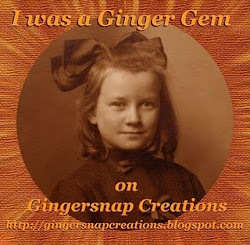 So it was no surprise that I was intrigued with the idea of purchasing a Keurig Coffee maker. A fReSh cUp Of CoFfEe AnYtImE i WaNtEd OnE???? 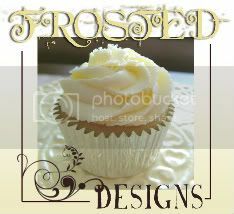 So check out what I came up with! Step 1: Enjoy Coffee, and allow grinds to cool off. Remove foil top to expose grinds and dry. Mix grinds with rich, garden soil, and refill KCup. 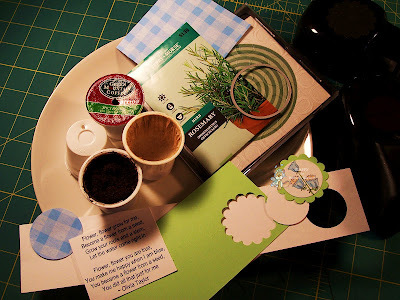 Press a seed into the soil as recommended on the back of your favorite seed packet. Reseal the top with Glad Press and Seal plastic wrap. Set aside. 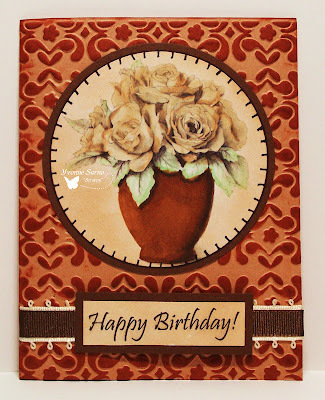 Step 2: Gather what you will need to make an attractive topper - like the floral themed Bugaboo Stamps digital stamp I've used below, assorted paper scraps, and round punches or diecutters! 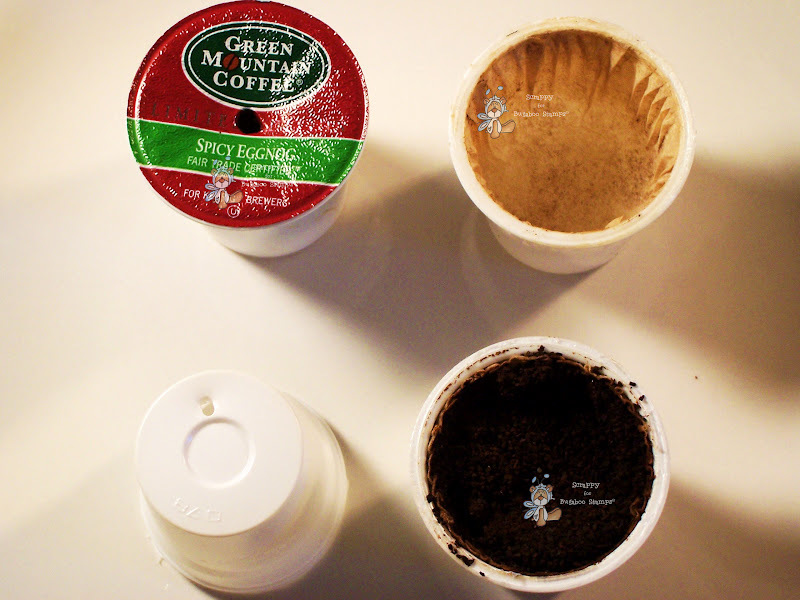 Step 3: Punch out all shapes as shown below and glue atop the plastic wrapped cup! 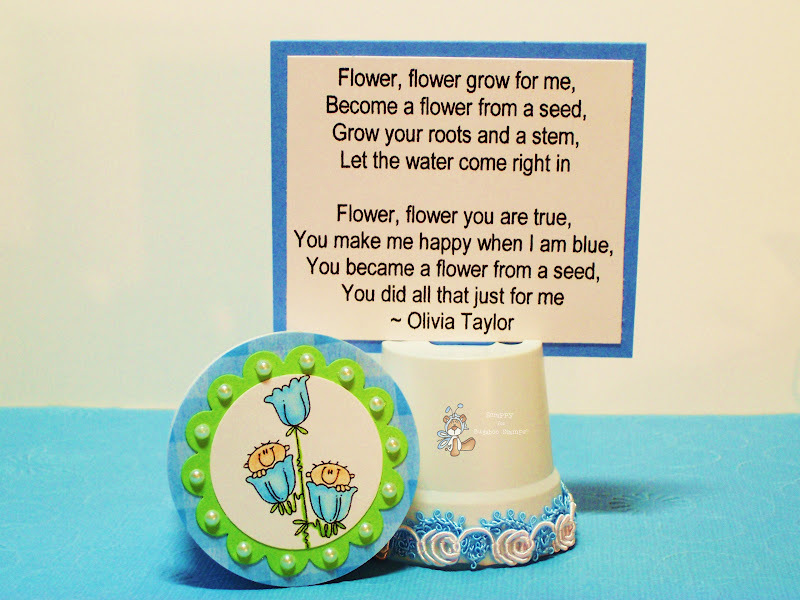 The one I have pictured in my final picture below was 1 of 50 that I donated for a Charity Baby Shower with the poem (shown) and instructions on how to grow your plant.! Easy Peasy and such fun! 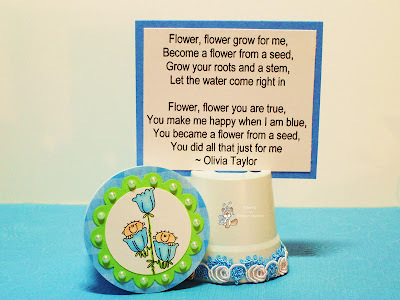 I'm sure the moms-to-be who get them will be delighted! Don't you think? 6-24 Bugaboo Stamps sponsors Pile it on Challenge! 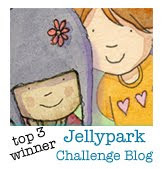 This week Bugaboo Stamps is sponsoring the challenge at Pile It On! 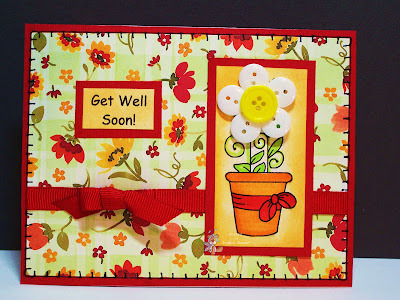 Like my card below featuring Flowerpot 4, the folks at Pile it On want you to join them in making your own embellishments! Check out the details, and enter your cards HERE for a chance to win a generous Bugaboo Stamps prize package! 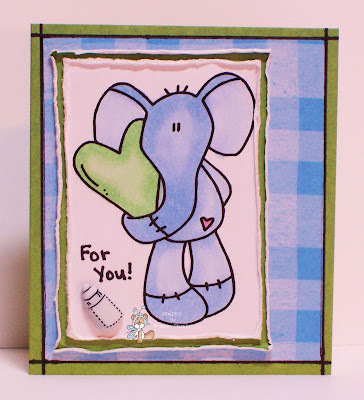 This weeks featured digi is from an awesome line of stamps called Elephant Toppers. I think the whole set is a *MUST HAVE*! 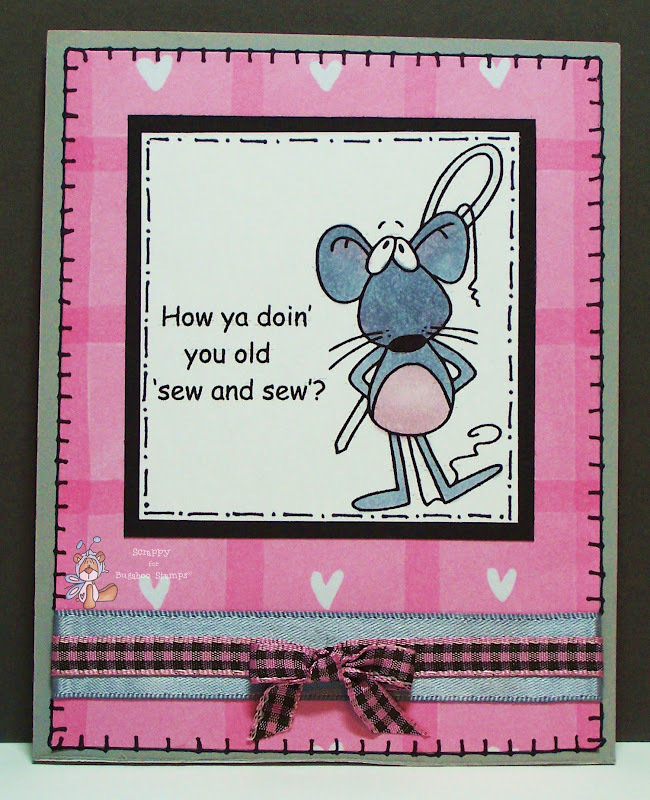 It is also PERFECT for those Circus or Zoo themed party stuff birthday cards, invitations, and thank you cards hmm? Go check it and all the other good stuff out in the Bug Shop today! 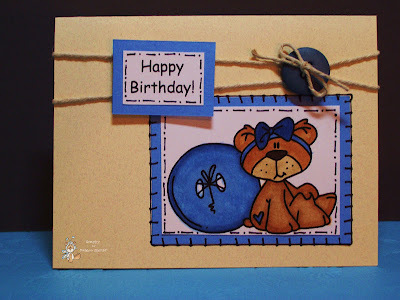 It's OBG day for the DT at Bugaboo Stamps - the day that some of the Bugaboo DT shows off their creations featuring some of their favorite Bugaboo Stamps images! 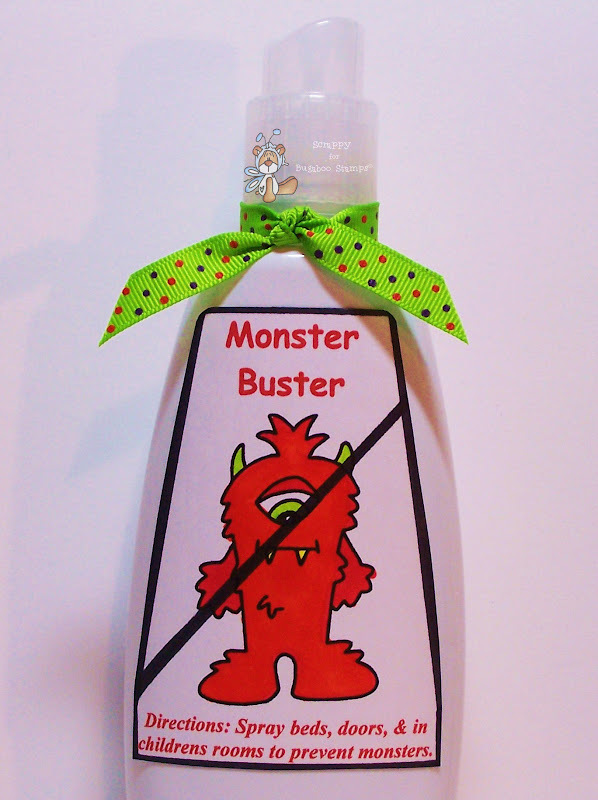 These images aren't part of the current release, but are still some of Bugaboo's best! 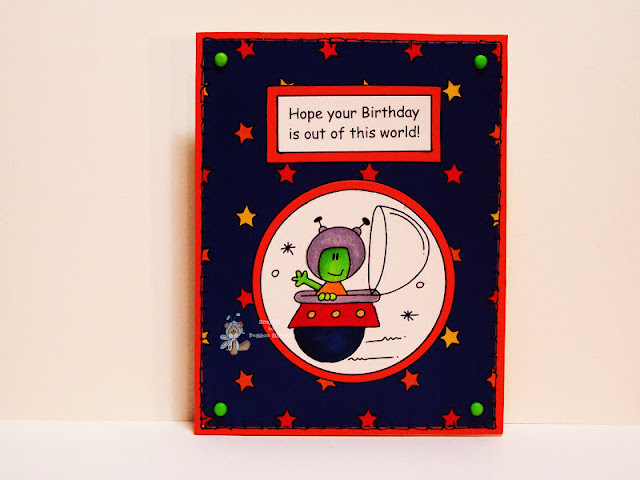 My card below features Martian Ship! I hope you like it! 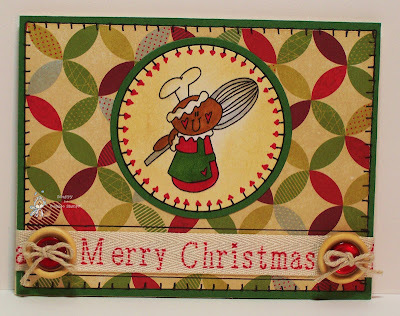 This week Bugaboo Stamps is generously sponsoring the Holly Jolly Christmas Challenge! 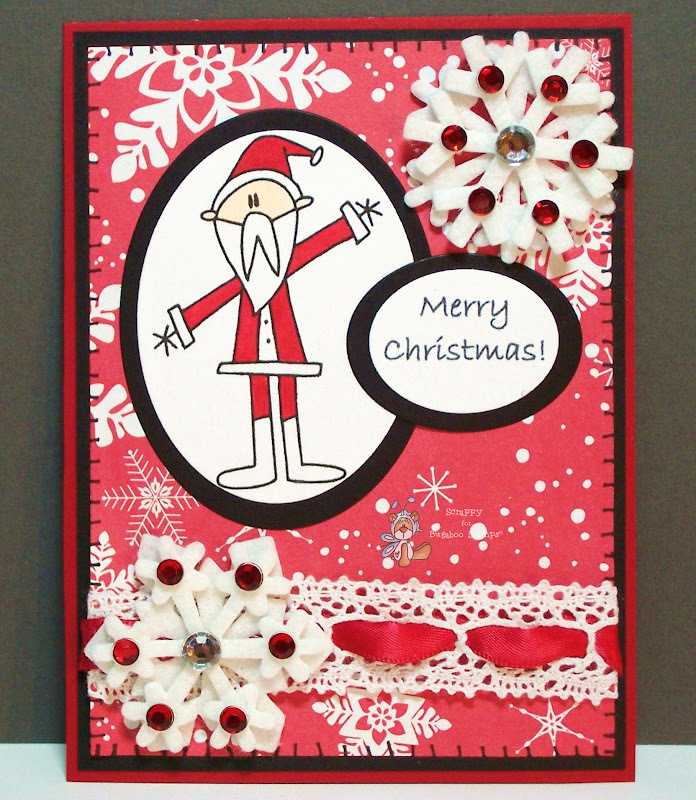 They are challenging you to use Diecuts and Punches on your Christmas -themed cards . 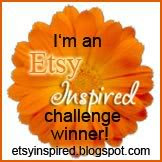 Easy peasy and super fun! 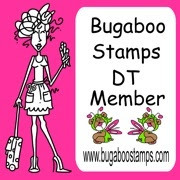 Enter HERE and maybe you will be the lucky winner of the Bugaboo Stamps prize pack! 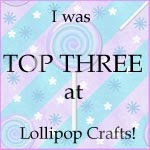 We have a new challenge at One Stop Crafts Challenge! 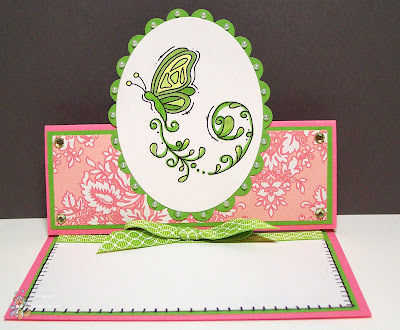 This week we want you to make an EASEL CARD - using pink, green, and white! My easel card sample below features a Butterfly digi from Bugaboo Stamps. I hope you like it! 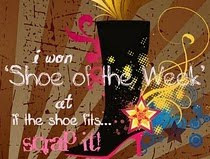 We can't wait to see yours! 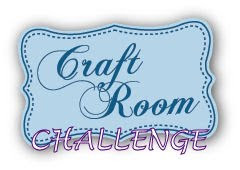 As I mentioned previously, Bugaboo Stamps is sponsoring another fun kids challenge over at Crafting with your Kids! They want you to create a card or papercraft item with a Beach Theme. My VERY ENTHUSIASTIC and crafty 6 year old, Annabella, created a 2nd card featuring the shark from AKV Under the Sea! 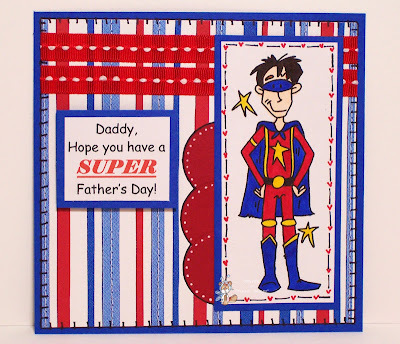 We hope you like it! 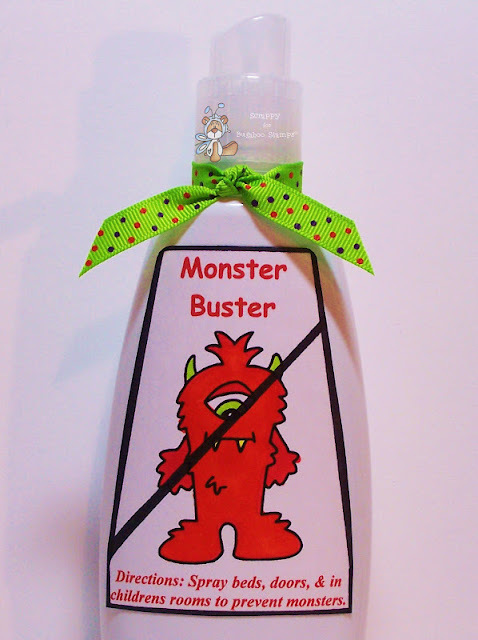 Bugaboo Stamps is sponsoring another fun kids challenge over at Crafting with your Kids! 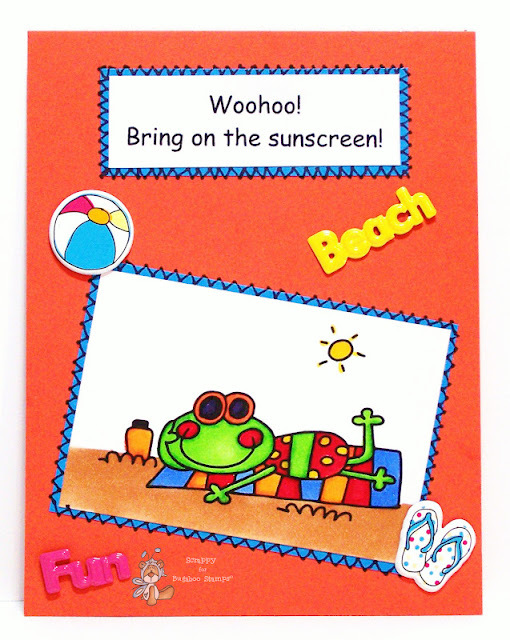 This time they want you to create a card or papercraft item with a Summer Beach Theme like the one below created by my VERY ENTHUSIASTIC 6 year old, Annabella! Check out all the details HERE! 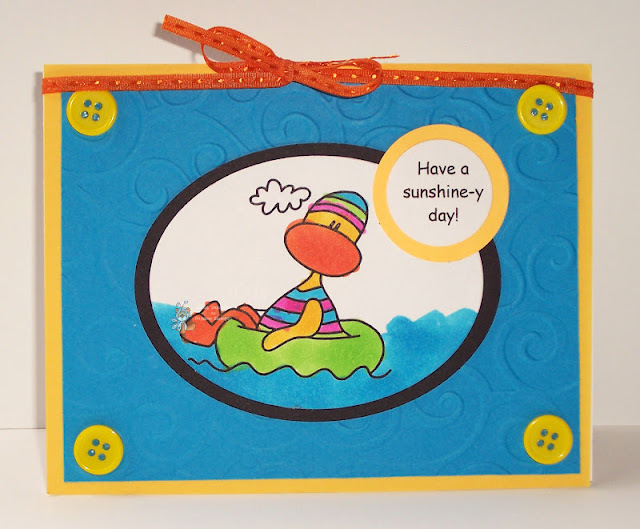 Her card below features Summer Duck - Dinghy Boat from Bugaboo Stamps. It's New Release Day today, and all of us at Bugaboo Stamps are so excited! 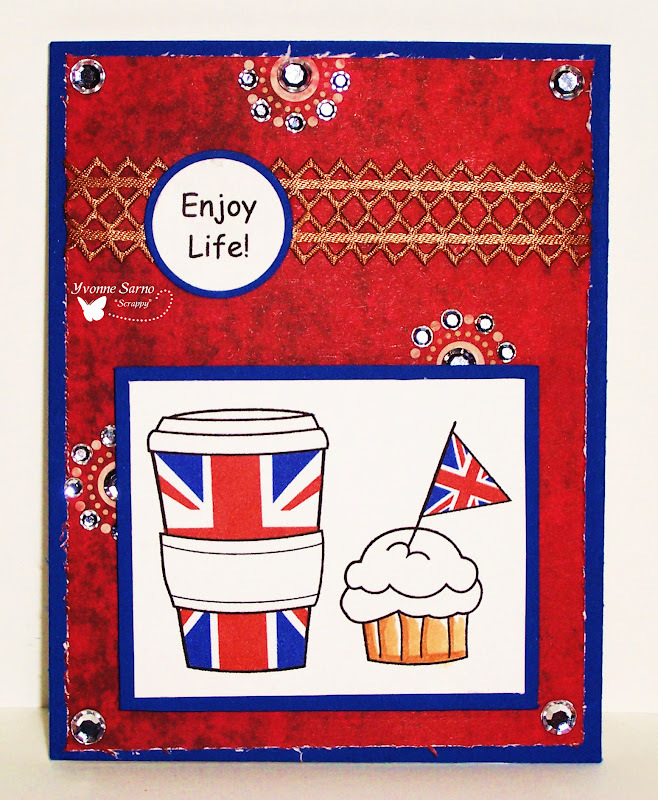 This is the day when Jodie releases BRAND NEW digis in the Bugaboo Stamp Shop! 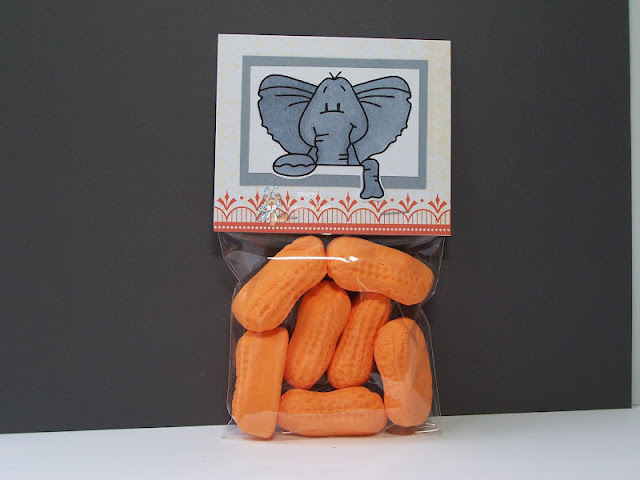 Check out my sample below using one of the super cute digis from the set, then go to the Bug Shop to nab them all for yourself! 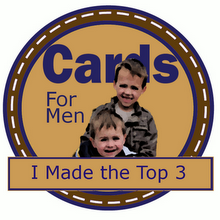 Bugaboo Stamps is generously sponsoring the Made Especially 4 You Challenge! 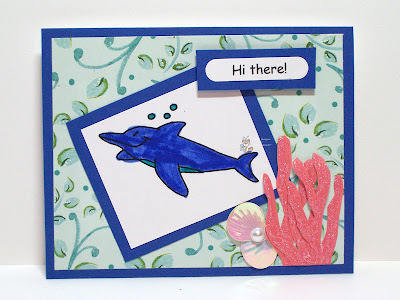 The folks at ME4Yare challenging you to use the sketch found HERE on your cards and papercraft projects. Easy peasy and super fun! 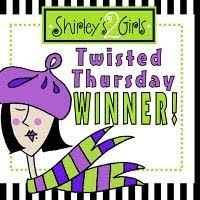 Enter HERE and maybe you will be the lucky winner of the Bugaboo Stamps prize pack! 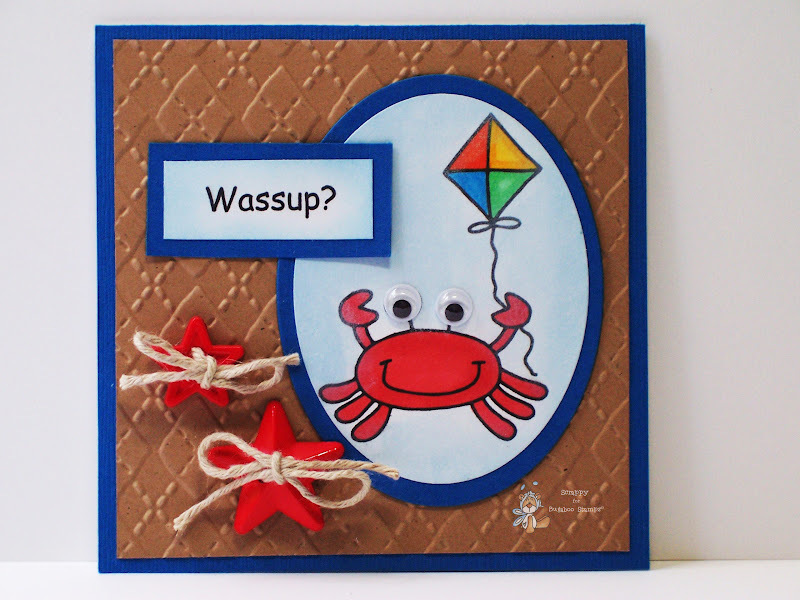 6-9 New Challenge up at Catch the Bug with Bugaboo Stamps! 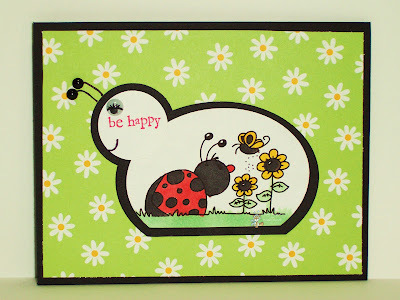 This weeks Bugaboo Stamps Catch the Bug Challenge is a fun one! 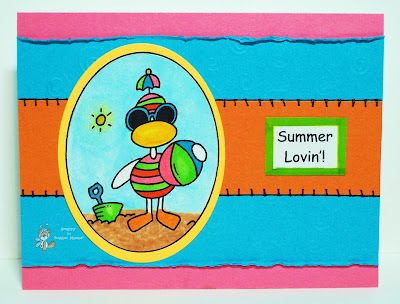 Like my project featuring Summer Duck - Ball below, this week we want you to create a card or papercraft project inspired by the picture found HERE! 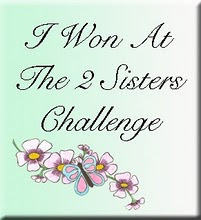 For more prize info, head over to the BUG BLOG! 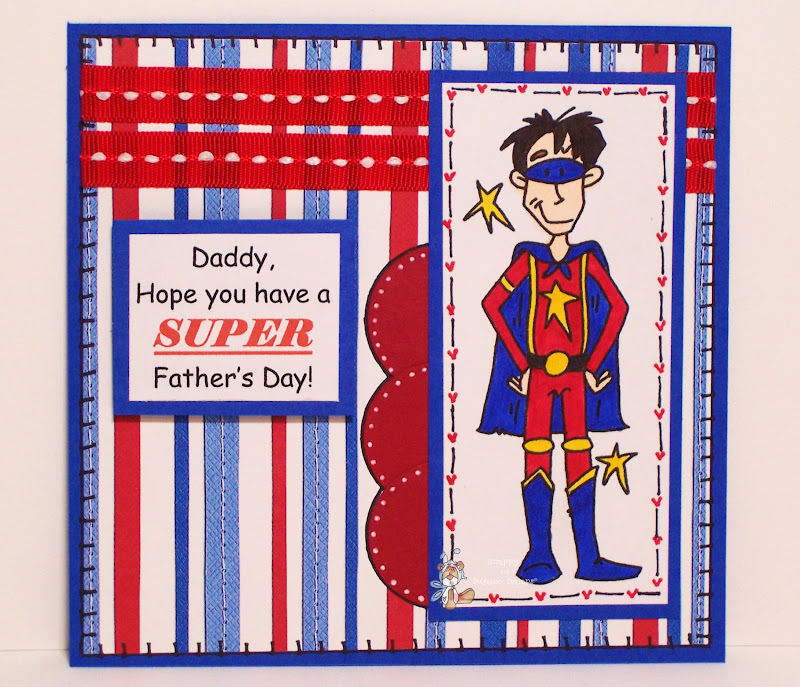 We look forward to seeing your projects! 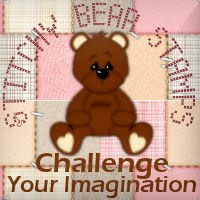 As I mentioned in my earlier post, there is a new challenge up at Just Inspirational sponsored by Bugaboo Stamps! 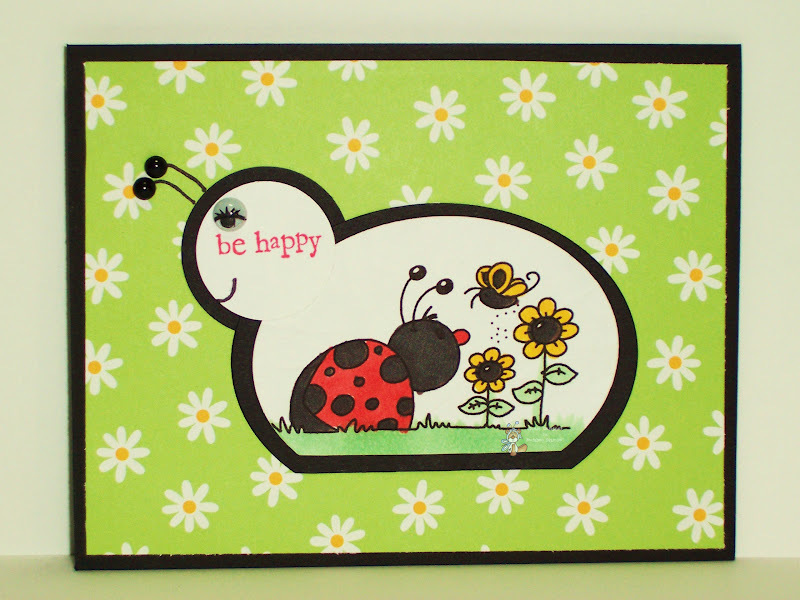 My 6 year old, Annabella joined in with the super cute Lady Bug - Butterfly from Bugaboo Stamps! 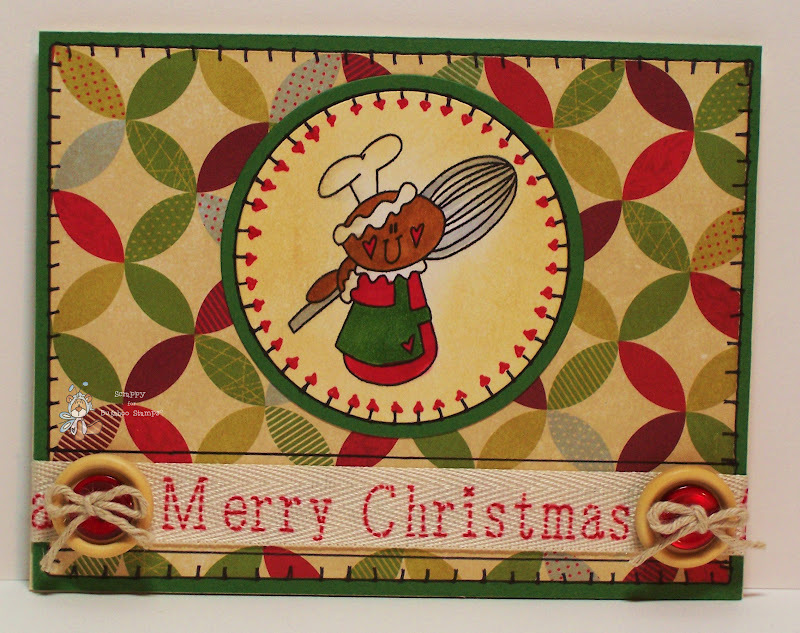 We hope you like her card! Bugaboo Stamps is on the MOOOOVE again! That's right! 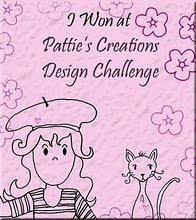 Bugaboo Stamps is sponsoring another super cool challenge! 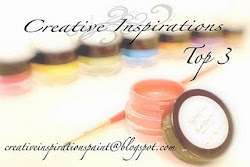 Just Inspirational has a picture inspired challenge HERE! 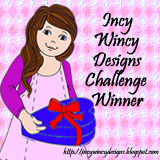 Head over to Just Inspirational to enter your own fab creations! 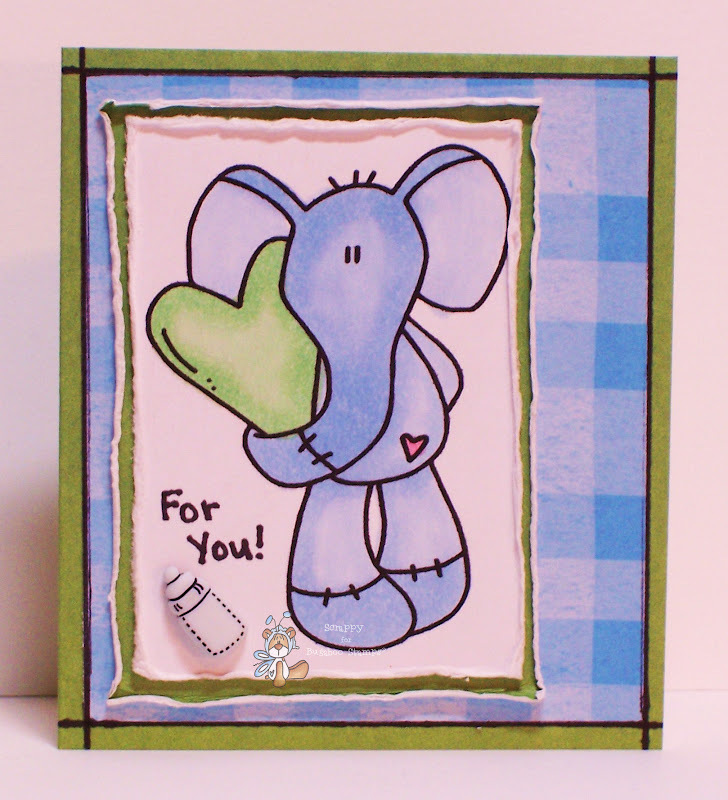 This weeks super cute featured digi is called Sock Elephant and it is a *MUST HAVE*!